Before the establishment of SOCAR Trading, SOCAR initially exported its crude through Georgia and Russia, until the much larger Baku-Tbilisi-Ceyhan (BTC) pipeline was completed in 2005. The BTC allowed SOCAR access to the Mediterranean through Ceyhan, Turkey and allowed it to load Very Large Crude Carriers (VLCCs) which gave SOCAR the opportunity to deliver Azeri crude to a wider range of customers, in the Mediterranean area, as well as further out to Asia and America. Once established in 2008, SOCAR Trading took over the torch and has successfully marketed close to 1 billion barrels of Azeri Light crude on a global scale. As a trading company, SOCAR Trading was able to better manage the sale of Azeri crude through increased pricing flexibility and the ability to adapt to changing global needs, in addition to enhanced market knowledge stemming from its large network of partners and counter-parties. As of now, Azeri crude is delivered through mainly two pipelines: the Western Route Export Pipeline (WREP) in Georgia and the Baku-Tbilisi-Ceyhan pipeline (BTC) in Turkey. The Western Route Export Pipeline, eliminated SOCAR’s need to transport crude through trucks and rail – which were now used for product transport only – and diversified SOCAR’s marketing option. However, Azerbaijan’s crude oil remained largely restricted to the Black Sea. The construction of the Baku-Tbilisi-Ceyhan (BTC) pipeline was a major breakthrough for Azerbaijan. Gaining access to the Mediterranean market provided several opportunities to market Azeri crude to different partners in the region. 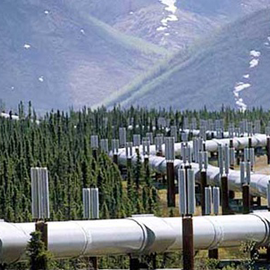 It also facilitated the developments of markets for Azeri crude in Asia and the United States.